I was able to watch this from KSC….it was beautiful…. 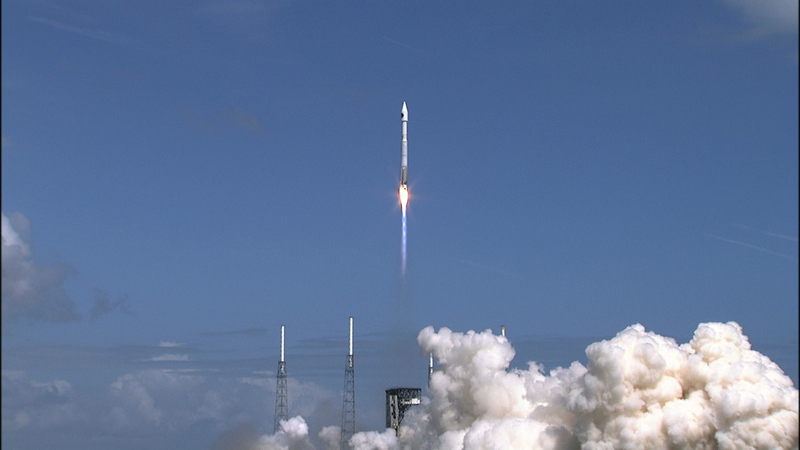 Orbital ATK’s seventh cargo delivery flight to the International Space Station launched at 11:11 a.m. EDT April 18, 2017, on a United Launch Alliance Atlas V rocket from Space Launch Complex 41 on Cape Canaveral Air Force Station in Florida. The Soyuz MS-04 rocket launches from the Baikonur Cosmodrome in Kazakhstan April 20, 2017, carrying Expedition 51 Soyuz Commander Fyodor Yurchikhin of Roscosmos and Flight Engineer Jack Fischer of NASA into orbit to begin their four and a half month mission on the International Space Station. 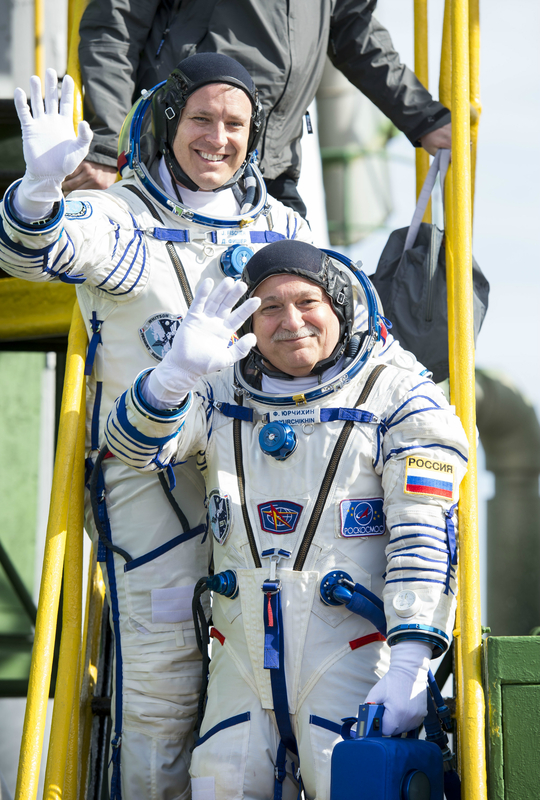 Expedition 51 Soyuz Commander Fyodor Yurchikhin of Roscosmos and Flight Engineer Jack Fischer of NASA wave farewell prior to boarding the Soyuz MS-04 spacecraft for launch April 20, 2017, at the Baikonur Cosmodrome in Kazakhstan.